I often find that when looking for a new book to read that the right book finds you and not the other way around. Such was the case last week during my lunch break from work. I had just finished reading Fermat’s Last Theorem by Simon Singh and having nowhere else to be I slipped into the Oxfam shop just off the Hampstead High Street. 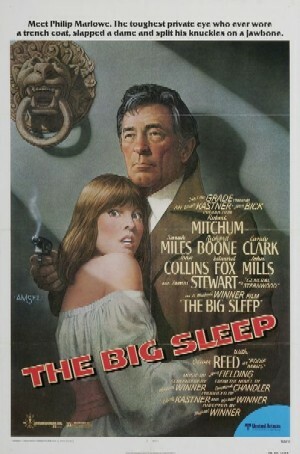 It was here that I found a cheap secondhand copy of The Big Sleep by Raymond Chandler. An author I had heard much about and seen one or two film adaptations but never read. Two pounds forty-nine later it was mine. Suffice to say from the first paragraph to the last any spare moment was spent devouring it’s lovely prose. Chandler’s first book, originally published in 1939, it follows the private eye Philip Marlowe as he attempts to solve the blackmail case of a dying rich widower and his two wild daughters. An essential read! 5/5. An excerpt – I braked the car against the curb and switched the headlights off and sat with my hands on the wheel. Under the thinning fog the surf curled and creamed, almost without sound, like a thought trying to form itself on the edge of consciousness.